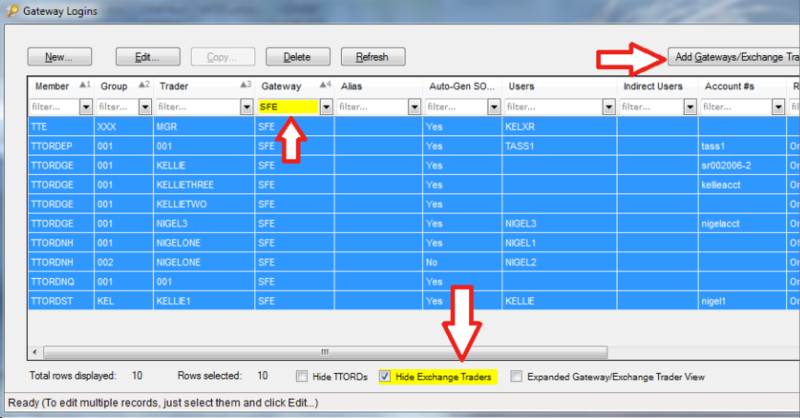 The steps in the following table can be performed by a TT User Setup (TTUS) administrator in a single-broker or X_TRADER ASP environment. 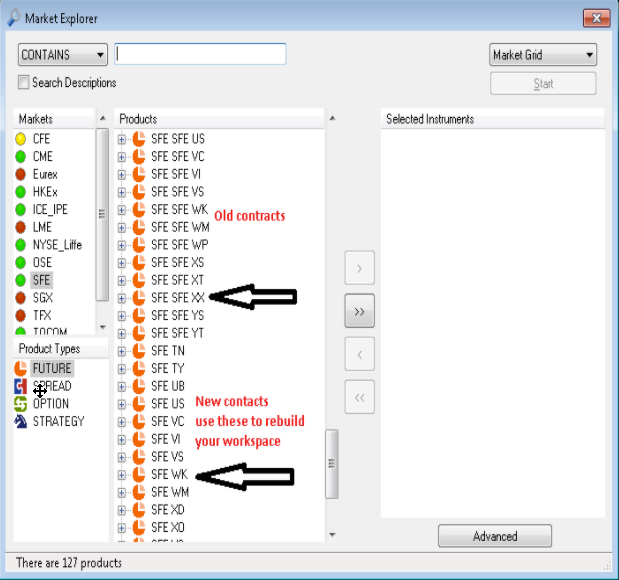 Add SFE-C and D to exchange trader MGT. 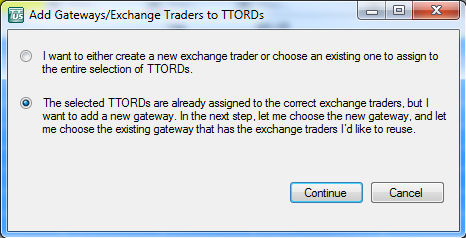 X_TRADER user must log out and back in again to pick up the additional gateways. 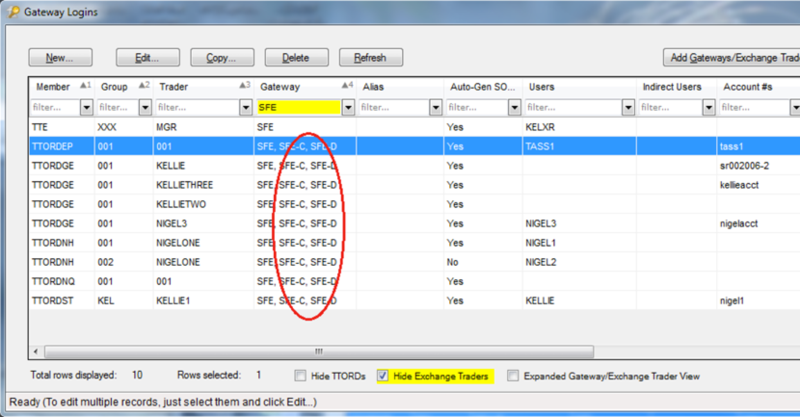 Tick "Expanded Gateway/Exchange Trader View"
Highlight ‘SFE-C and SFE-D’ and click ‘Select’. Once complete, you will be returned to the ‘Gateway Logins’ page, and will see SFE-C and SFE-D added to all MGT’s. 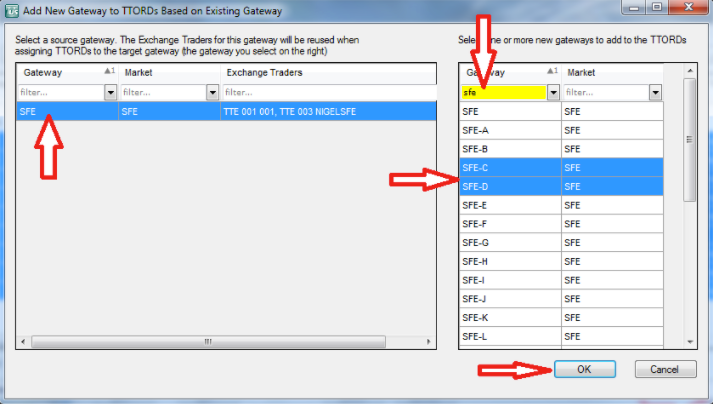 Check "Expanded Gateway/Exchange Trader View"
A pop-up window appears. Select second option down (The selected TTORDs are already assigned...) and click ‘continue’. 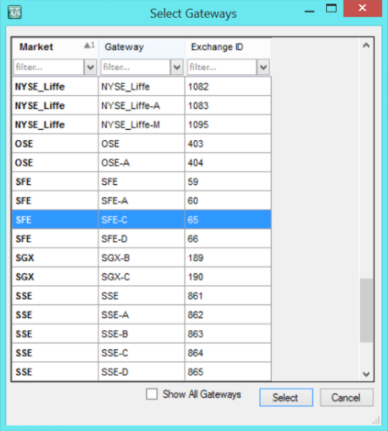 Select source gateway in left pane (SFE). Once complete, you are returned to the ‘Gateway Logins’ page, and will see SFE-C and SFE-D added to all MGTs.